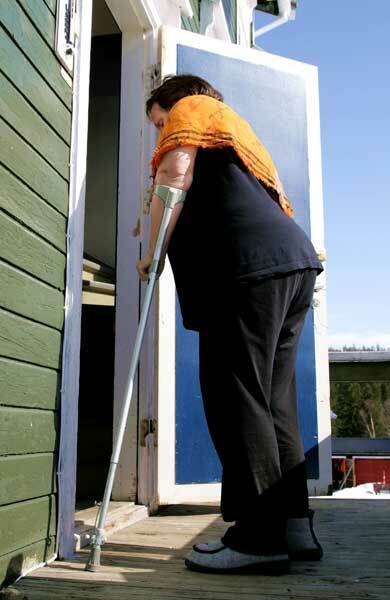 Get Help Filing For Disability Or Appealing A Denied Disability Claim! Every person has the right to be represented by an attorney or another representative while pursuing a claim or other rights under titles II, XVI, and XVIII of the Social Security Act. FREE Evaluation From An Experienced Disability Lawyer. If you are working in 2017 and your earnings average more than $1,170 a month, you generally cannot be considered disabled. If you are not working, the Social Security Administration will send your application to the Disability Determination Services office that will make the decision about your medical condition. Your condition must interfere with basic work-related activities for your claim to be considered. If it does not, the Social Security Administration will most likely find that you are not disabled. For each of the major body systems, the Social Security Administration maintains a list of medical conditions that are so severe they automatically mean that you are disabled. If your condition is not on the list, Social Security will have to decide if it is of equal severity to a medical condition that is on the list. If your condition is severe but not at the same or equal level of severity as a medical condition on the list, then Social Security must determine if it interferes with your ability to do the work you did previously. If you cannot do the work you did in the past, the Social Security Administration will see if you are able to adjust to other work. The Social Security Administration will consider your medical conditions and your age, education, past work experience and any transferable skills you may have. What The SSA Means By "Disability"
“Disability” under Social Security is based on your inability to work. Social Security considers you disabled under Social Security rules if 1.You cannot do work that you did before. 2. Social Security decides that you cannot adjust to other work because of your medical condition(s); and 3. Your disability has lasted or is expected to last for at least one year or to result in death. Get help filing or appealing your disability claim! Yes, you can return to work while receiving Social Security disability benefits. The Social Security Administration has special rules to help you get back to work without jeopardizing your initial benefits. You may be able to have a trial work period for nine months to test whether you can work. If you get disability benefits and your condition improves or you return to work, report these changes by calling 1-800-772-1213 (TTY 1-800-325-0778) or contacting your local Social Security office. In general, the Social Security Administration pays monthly benefits to people who are unable to work for a year or more, or who have a condition expected to end in death. The disability must be so severe the worker cannot work, considering age, education, and experience. Generally, the Social Security Administration pays Social Security benefits to eligible workers and their families, based on the worker’s earnings. General taxes fund the SSI program, which serves the needy. SSI eligibility depends largely on limited income and resources.